SEDALIA, Mo. – The Sedalia, Missouri City Council will met for a special session Monday, April 9, 2018. On the agenda was new business related to multiple ordinances and resolutions. Included in that new business was amending Ordinance No. 9940 that related to adding a new classification and job description for the position of Training/Administrative Fire Capitan for the Sedalia Fire Department. 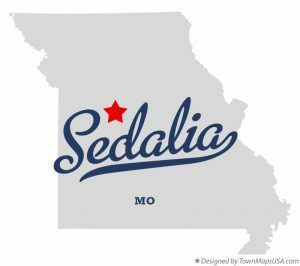 The council also discussed amending Appendix A of Sedalia’s Personnel Regulations Manual, the annexation of an unincorporated area owned by Pettis into the City of Sedalia, and the approval of maintenance of various roadways in the city. Following new business the meeting adjourned. The special council meeting was held at 6:30 p.m. in Council Chambers in Sedalia’s Municipal Building. PETTIS COUNTY, Mo. — Election results are rolling in across the KMZU listening area. Results will be announced on KMZU 100.7 FM as they are received by correspondents at court houses around the area beginning at 7:00 p.m. Tune in for live results and refresh this page for the latest update. PETTIS COUNTY, Mo. – A resident of Sedalia was left with minor injuries after a car accident Wednesday morning. According to the Missouri State Highway Patrol, Robert D. Jackson, 68, was driving on U.S. Highway 50 at approximately 11:41 a.m. before traveling off the right side of the roadway into a ditch before returning to, and crossing over, the roadway and striking a utility pole. Jackson was transported to Bothwell Hospital for treatment.